Gabe Perez believes that procurement needs to move towards real-time services, and eliminate traditional supplier enablement processes. 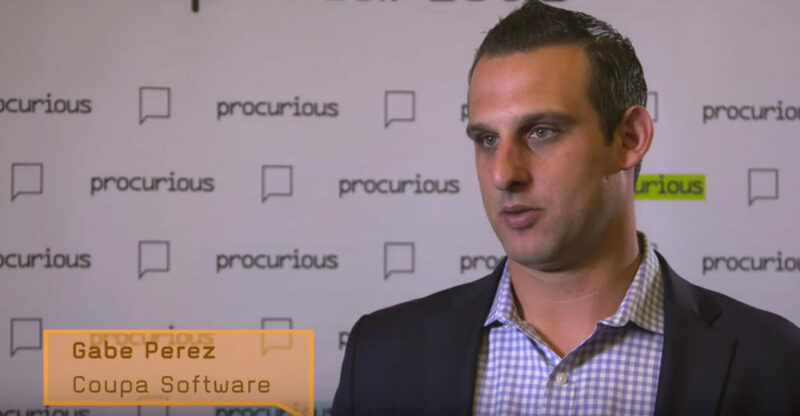 Gabe Perez, Vice President, Strategy & Market Development at Coupa Software, believes now is the time for procurement eliminate supplier enablement, and move towards the real-time services we have in our personal lives. Gabe also believes that it’s now time for procurement, and the wider corporate world, to refocus their objectives to place value at the centre of all activities, as well as create and participate in open networks where collaboration can thrive. Catch up with all the thought leadership and ours delegates’ Big Ideas from the 2016 Summit at the Procurious Learning Hub. If you want to find out more about Big Ideas 2016, and what we have planned for 2017, you can visit our dedicated website! If you like this (and you haven’t done so already) join Procurious for free today, and connect with over 15,500 like-minded procurement professionals from across the world.